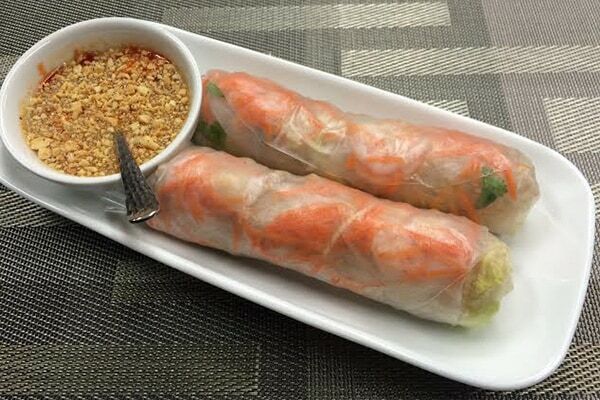 Two per serving of pork and shrimp fresh spring rolls. 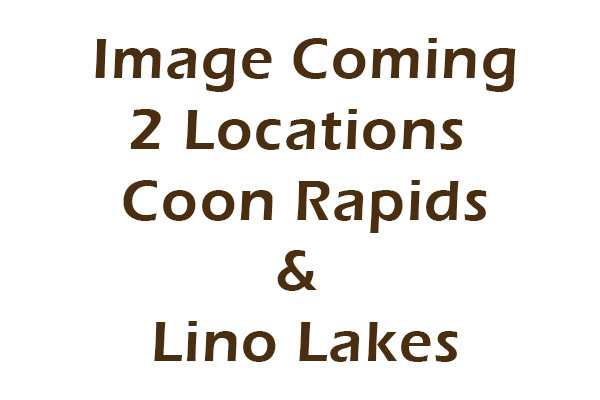 Includes lettuce, carrots, mints, cilantro and noodles. 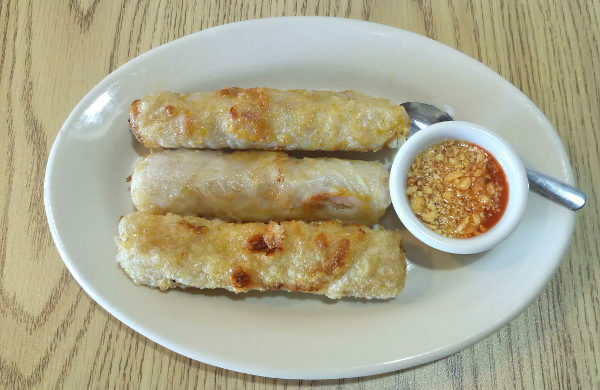 Deep fried roll stuffed with pork, glass noodle and onion. 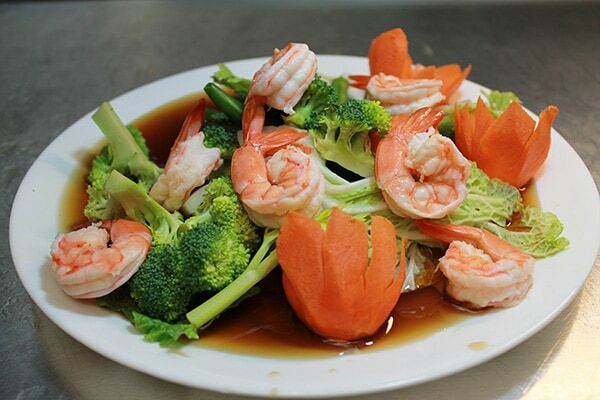 Three per serving. 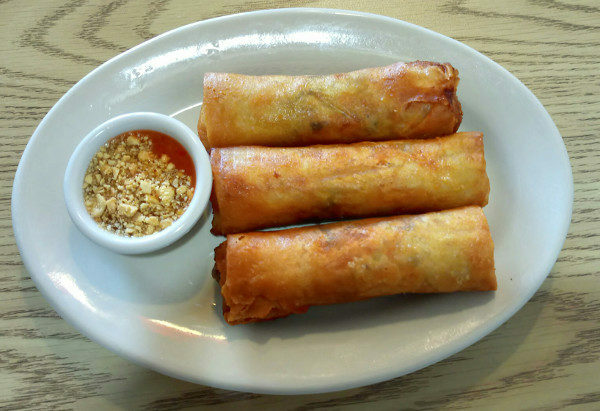 Deep fried egg roll stuffed with glass noodle, cabbage, carrots, mushrooms and onion. 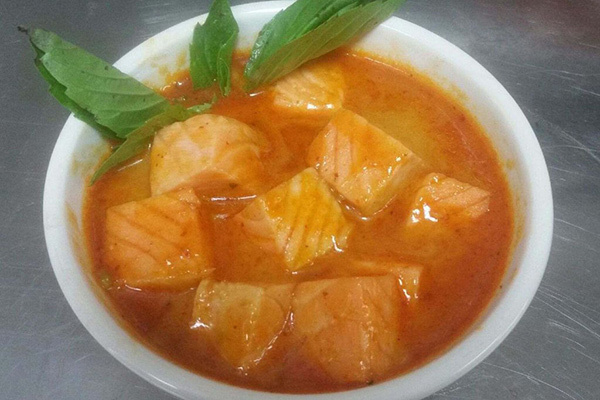 Three per serving. 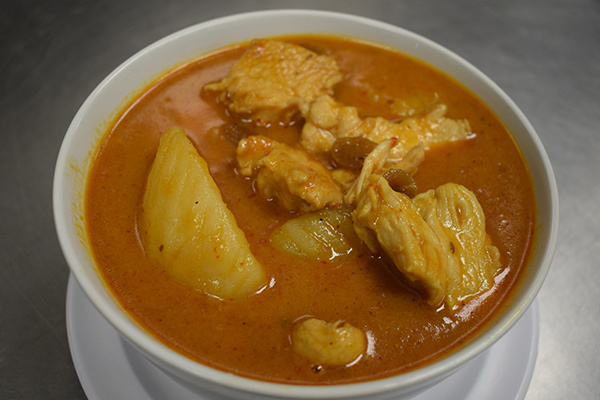 Chicken on stick ruminated in curry house serve with sauce on the side. Six per serving. 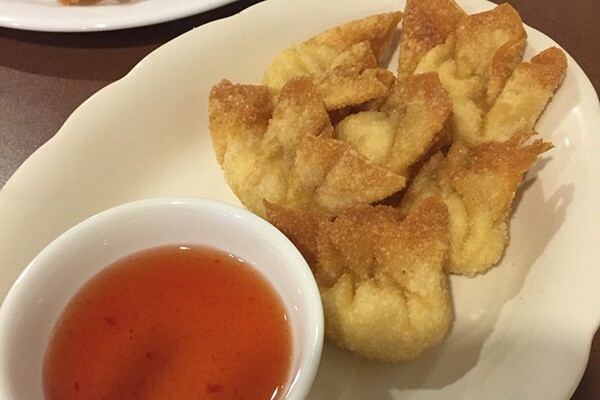 Deep fried cream cheese wrapped in wonton skin. Eight per serving. 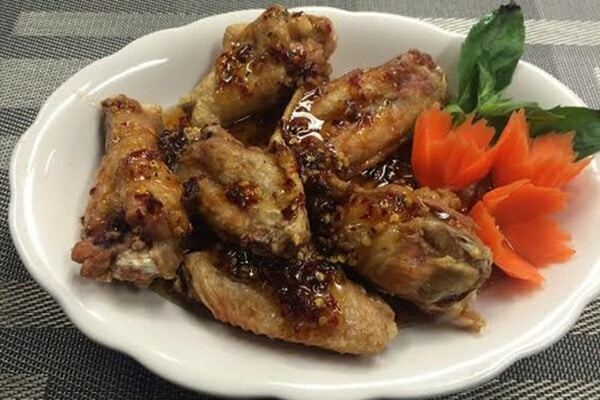 Deep fried chicken wings with special homemade spicy sauce. Six per serving. 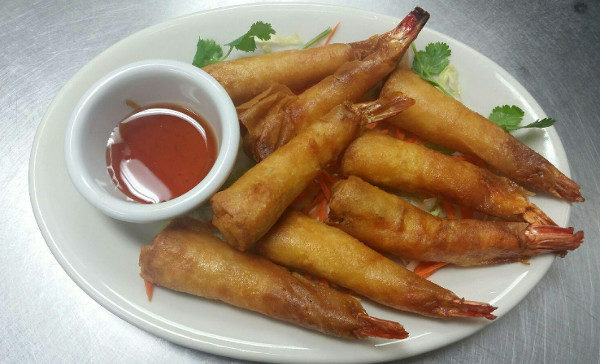 Deep fried marinated shrimp wrapped. Six per serving. 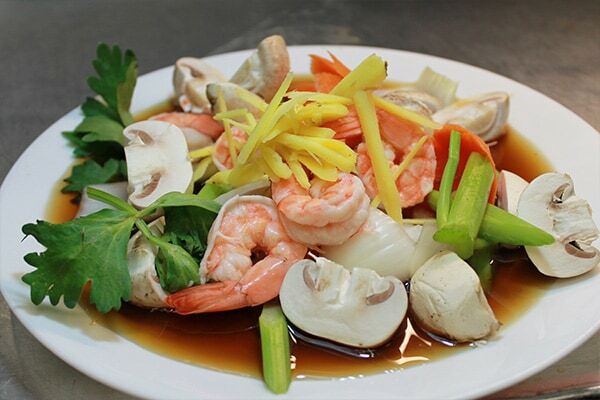 Flavored lemongrass soup with Shrimp, galangal, kaffir lime leaves, straw mushroom. 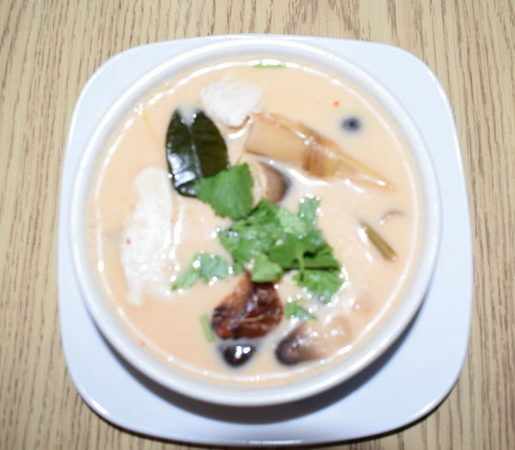 Coconut milk soup with lemongrass, galangal, kaffir lime leaves, straw mushroom with chicken. 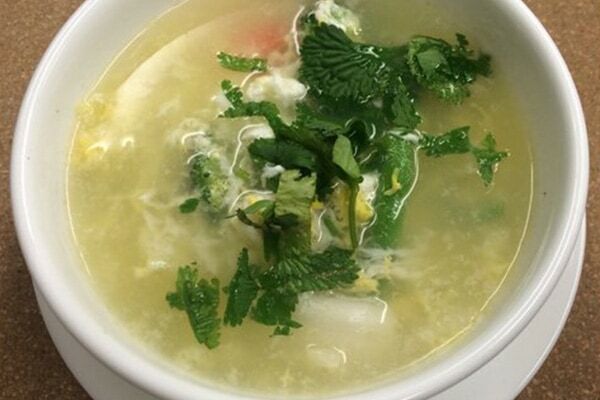 Assorted vegetable and egg in chicken broth or vegetable-broth. 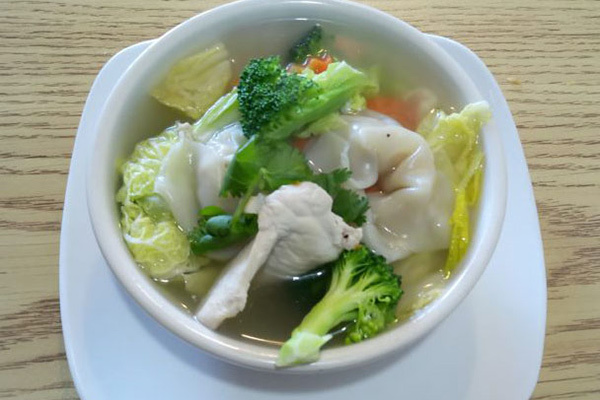 Pork wonton or chicken wonton with vegetable in chicken broth. 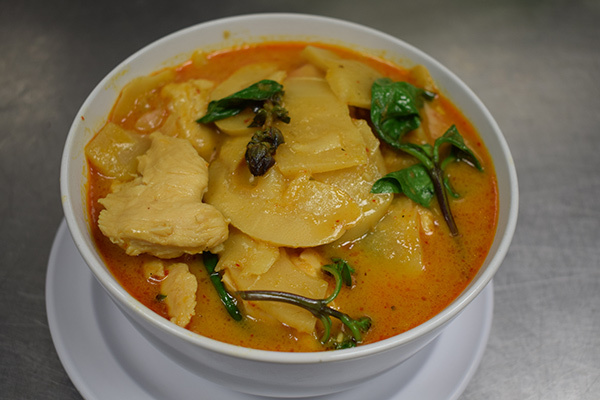 Peanut and potatoes in Thai Masmam coconut curry. 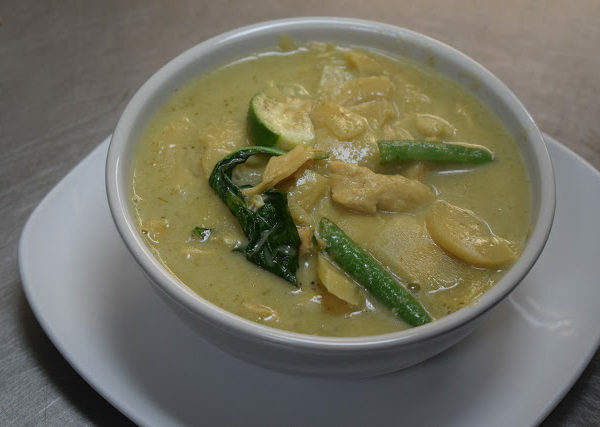 Thai green coconut curry with green bean, eggplant, basil, bamboo shoot. 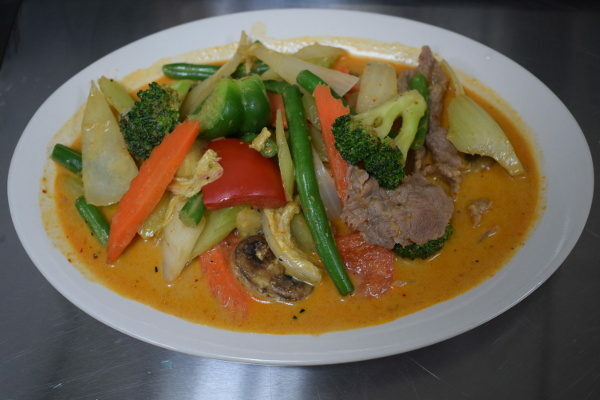 Stir fried green bean, cabbage, onion, carrot and broccoli in coconut red curry. 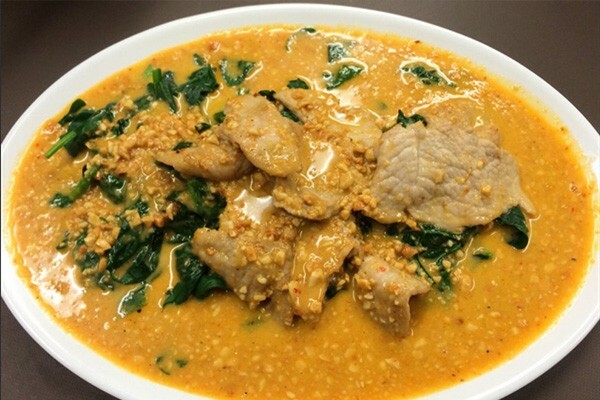 Red peanut curry sauce over steamed spinach or Broccoli. 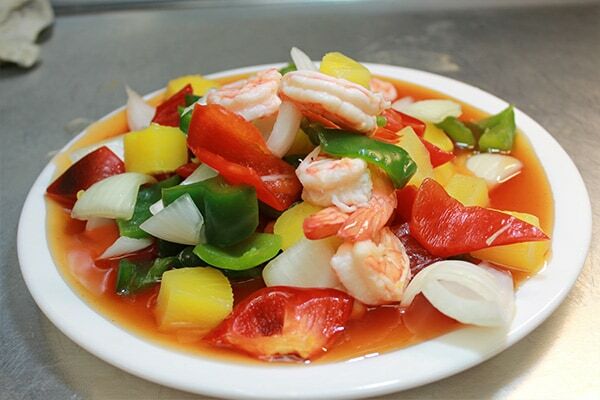 Stir fried pineapple, bell pepper, onion, baby corn, tomatoes with homemade sweet and sour sauce. 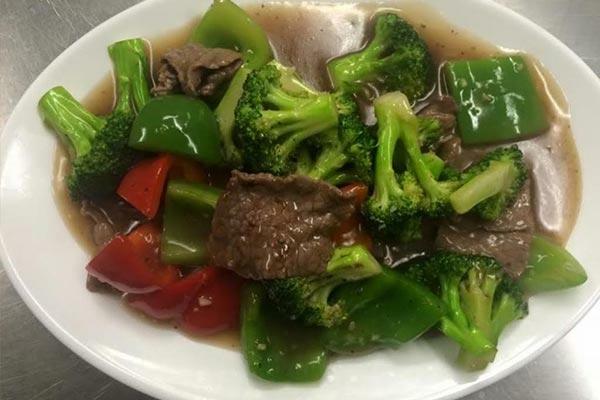 Stir fried beef and broccoli with bell pepper in tasty oyster sauce. 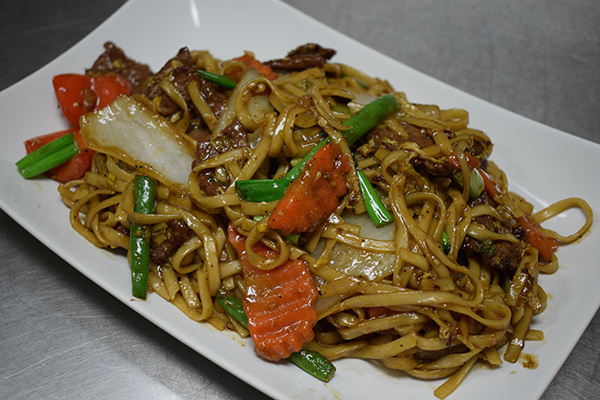 Thai style stir-fried mixed vegetable onions, carrot, cabbage, green bean, broccoli and bell pepper, fresh mushroom and celery. 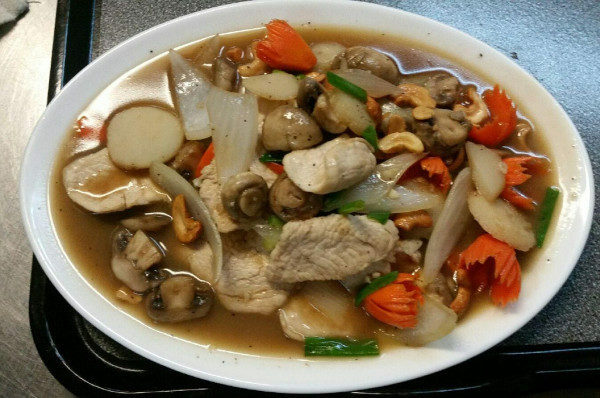 Stir fried cashew nut with water chestnut, onions, mushroom, broccoli and carrot. 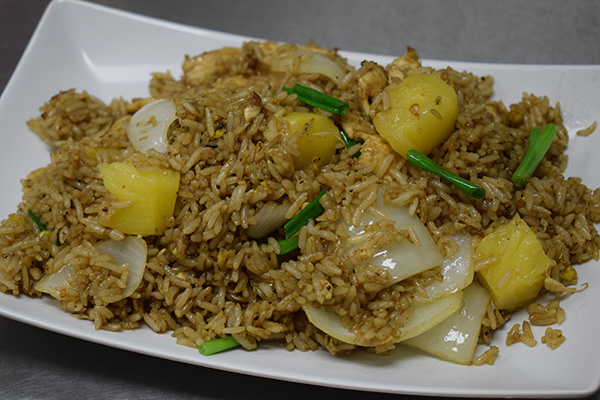 Stir-fried fresh ginger with celery, carrot, mushroom, baby corn and onions. 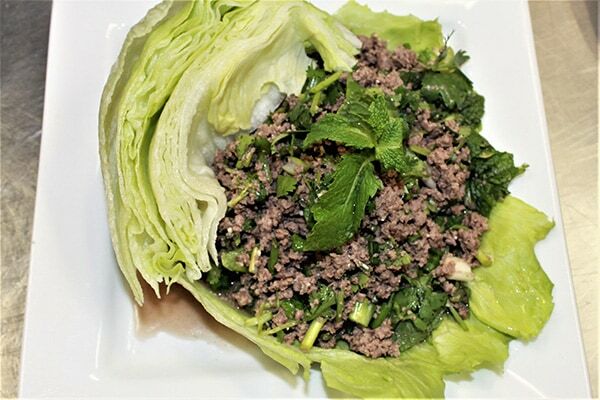 Popular Thai traditional salad seasoned with lime juice, fresh chili pepper, green onion, cilantro mint leaves, rice powder and beef served with cucumber and lettuce on side. 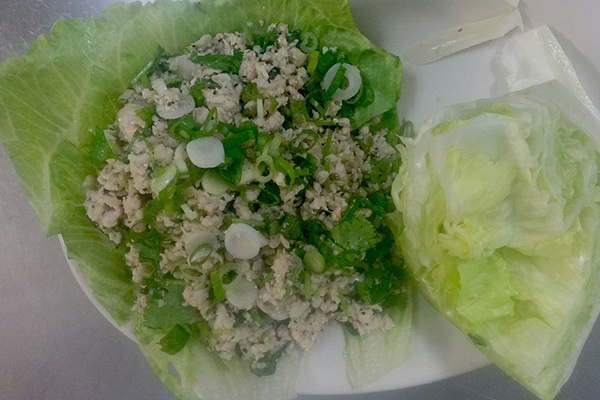 Chicken salad seasoned with lime juice, fresh chili pepper, green onion, cilantro, mint leaves and rice powder. 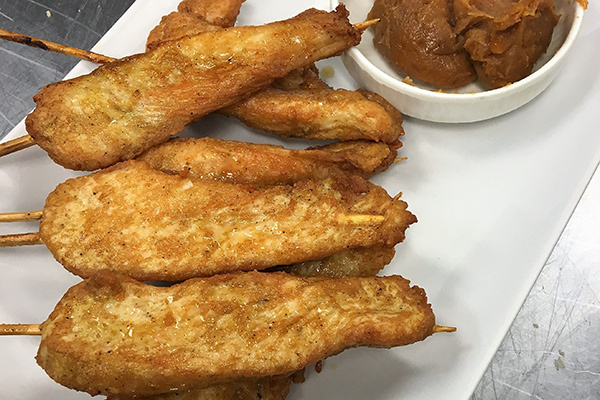 Served with cucumber and lettuce on side. 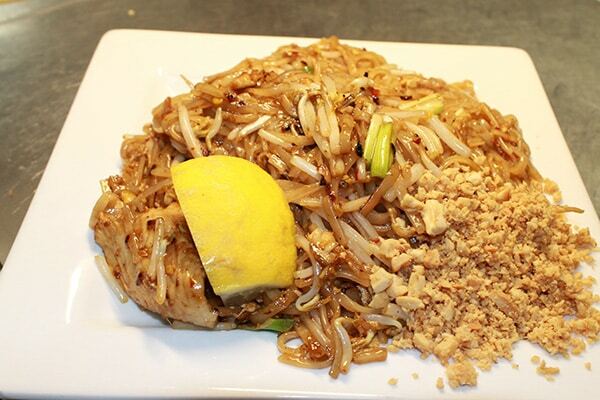 Stir fired rice noodles with egg and bean sprout served with peanut and lime on the side. 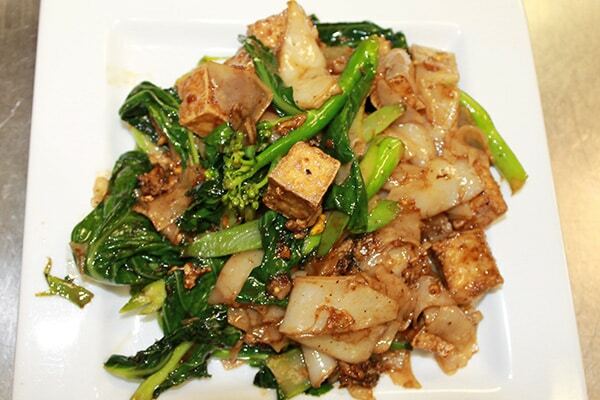 Stir fried fun noodles with egg and Chinese broccoli. 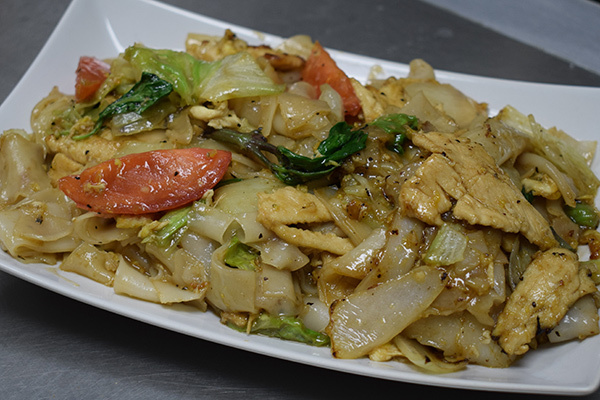 Stir fried fun noodles with egg, basil, lettuce, tomatoes and onion. 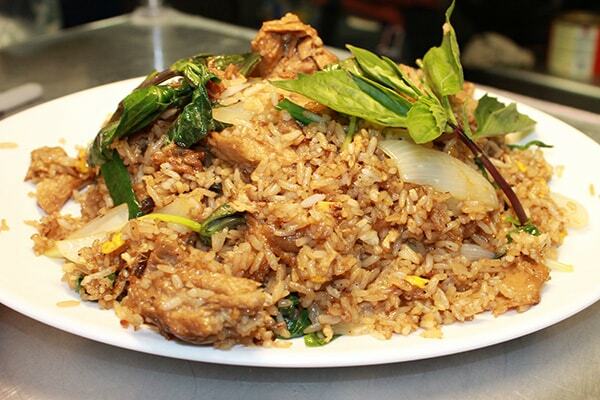 Sweet basil fried rice with egg and onion. 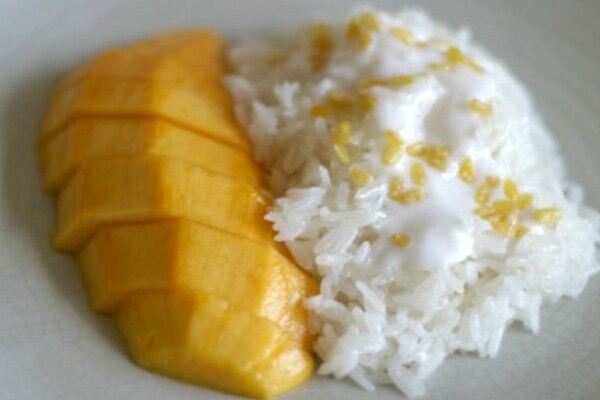 Thai pineapple friend rice with egg and onion. 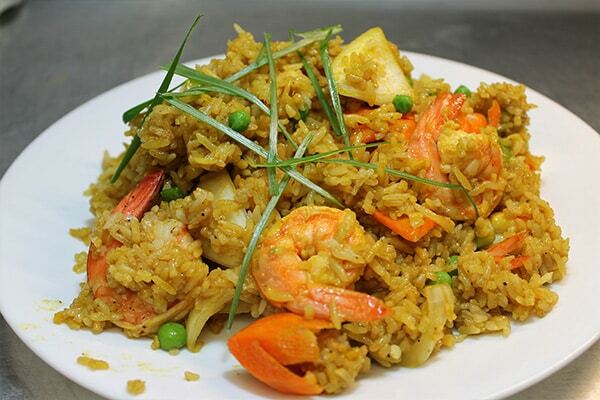 Yellow curried fried rice with egg, carrot and peas.